In 2007, she collaborated with Kajiura Yuki for the anime Shin Kyuuseishu Densetsu Hokuto no Ken Raoh Den Junai no Sho~Yuria Den's soundtrack to sing "Hikari no Yukue" and "Where the lights are (Japanese Ver. )", credited as FictionJunction WAKANA. She was again involved by Kajiura in a soundtrack for the anime El Cazador de la Bruja. Also, Kajiura Yuki started working on the soundtrack for Kara no Kyoukai novel's movie adaptation and founded Kalafina, to which Wakana belong, which was originally set to perform the ending theme songs for the seven movies. After the movies were finished, Kalafina continued to provide music for other animes like Kuroshitsuji and documentary shows like Rekishi Hiwa Historia. In 2008, Kajiura Yuki also started performing live concerts and Wakana was a part of the singing unit along with Oda Kaori, Kubota Keiko, and Kaida Yuriko; this brought up the idea for FictionJunction which featured the four vocalist and is a separate unit from FictionJunction YUUKA. The members of Kalafina are also famous throughout the world. In 2009, they participated at an anime festival in Boston, before they started their first oneman tour in 2010, with stops at Taipei, Shanghai and Hong Kong. Then, they joined in several anime events in LA, in Singapore, in Malaysia, in Germany and in Indonesia. In May of 2013, they perform at the Anime Central 2013, the third largest North American anime convention, and gathered 3,000 spectators! 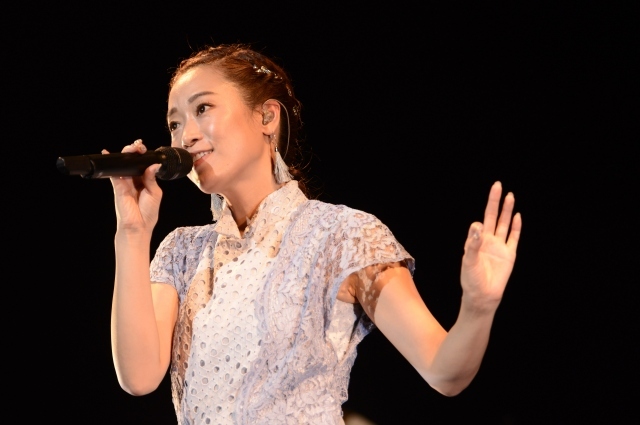 Right after Keiko and Wakana leave Spacecraft agency in 2018, Wakana has announced that she will be releasing her first solo single "Toki wo Koeru Yoru ni". Wakana also released her first solo album entitled "Wakana" on March 20,2019.